Hi ! Please read below for the latest news! Lose The Fat, Win The War! 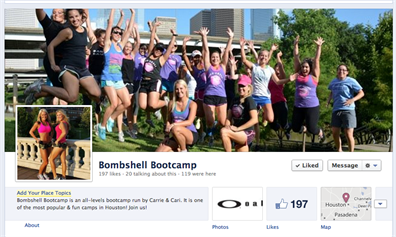 Bombshell Bootcamp Turns 1! Save the date for our ANNIVERSARY PARTY! Next Tuesday 10/9 will be our special Luke's Locker night. We will meet at Luke's Locker (1953 W. Gray - River Oaks Shopping Center) at 6pm for the workout and NOT Sabine St. The workout will last for approximately 45 min (we will be outside in the parking lot - so bring your regular gear) and then around 7pm we will head inside for optional shopping! Luke's will be giving everyone 20% off and will provide wine, water and snacks! *You are welcome to bring a friend to this event and he/she can also take advantage of the discount and can join us for a FREE workout! We are celebrating our 1 year anniversary and want YOU to help us celebrate! 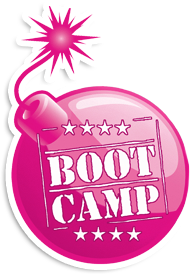 We will be having a special anniversary party after bootcamp on Thursday 10/18 along the Bayou! The party will be from approximately 7-8pm after camp that night. 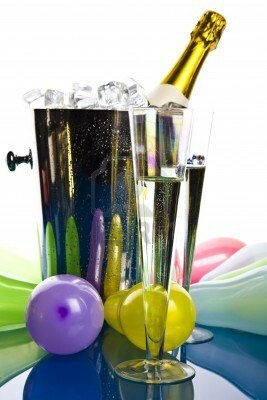 We have lots of special treats (food, drinks, music + more) and fun surprises! Plus, we have a special gift for those of you who have been with us the full year! In honor of our 1-Year Anniversary, we will have a special $1 drop-in that night...so bring friends! Please "Like" us on Facebook HERE! We post lots of workout tips and workout information on this page, so you don't want to miss! Changed you contact details? Update them here. Don't want to hear from us anymore? Unsubscribe Instantlty.